The truth is, there are a lot of scary topics within our industry. The Nails Over Georgia group gave the NAILS team a warm Southern welcome to Atlanta. Getting my #nailon with Mel and Holly! The truth is, there are a lot of scary topics within our industry. 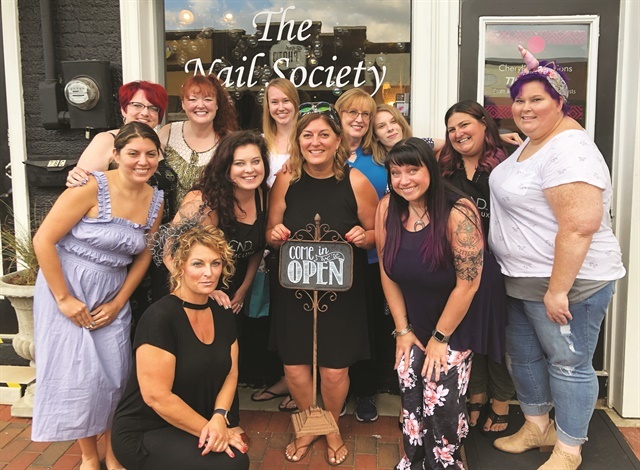 We’ve all heard the occasional horror story involving a nail service because, whether we like it or not, nail technicians are directly involved in their clients’ health. This is one of the many reasons we wanted to hold our first Foot Forward Summit, which took place August 12-14 in Atlanta. 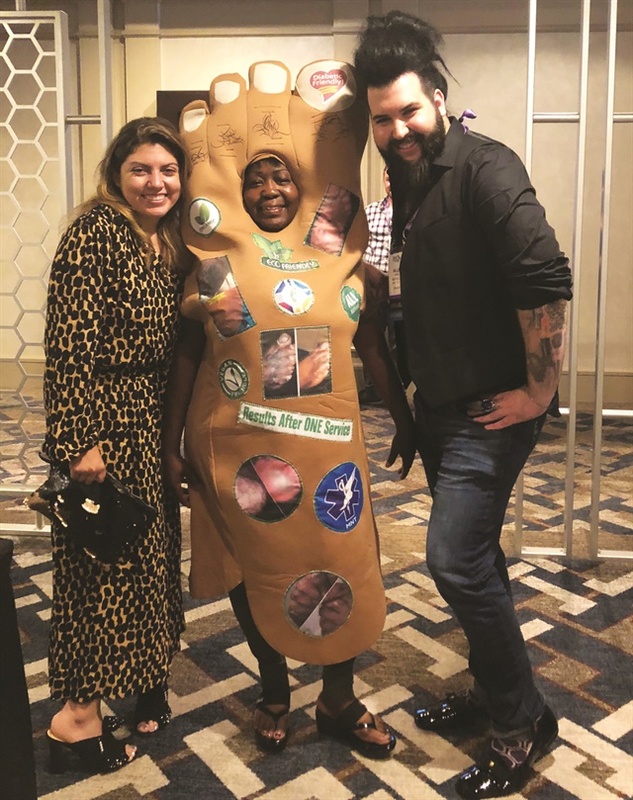 Covering issues such as diabetic services, care for the elderly, sanitation, working with a podiatrist, and recognizing common conditions in the feet, the Summit hosted over 160 attendees who heard from experts, asked questions, and shared their own experiences. I have to admit, I had some concerns about bringing together nail technicians and medical professionals, and seeing where some of these topics would take us. But the outcome of such an honest and open discussion amazed me. Our Summit resulted in individuals empowering one another and affirming the many positive aspects of a career in nail care. One of my favorite moments from the Summit occurred during our keynote address. Dr. Bruce Pichler, a Georgia-based podiatrist, urged nail techs to be vigilant when it comes to client health, particularly when it comes to noticing signs of skin cancer. It was then that three nail techs shared that they had each saved a client’s life by recognizing something as small as a change in skin color. Nail techs can’t diagnose, but they can be the first line of defense — and that’s something to be proud of. I urge our readers to not be afraid to speak up, and to be direct with their clients. If there’s something that scares you, arm yourself with the proper education and address the issue head on. But what I loved most was all the quality time I got to spend with our attendees. Thank you for sharing your stories, struggles, and triumphs. Thank you for caring. See more photos from Foot Forward Summit here. A chemical reaction that produces heat, such as when two monomers or ogligomers are joined together.